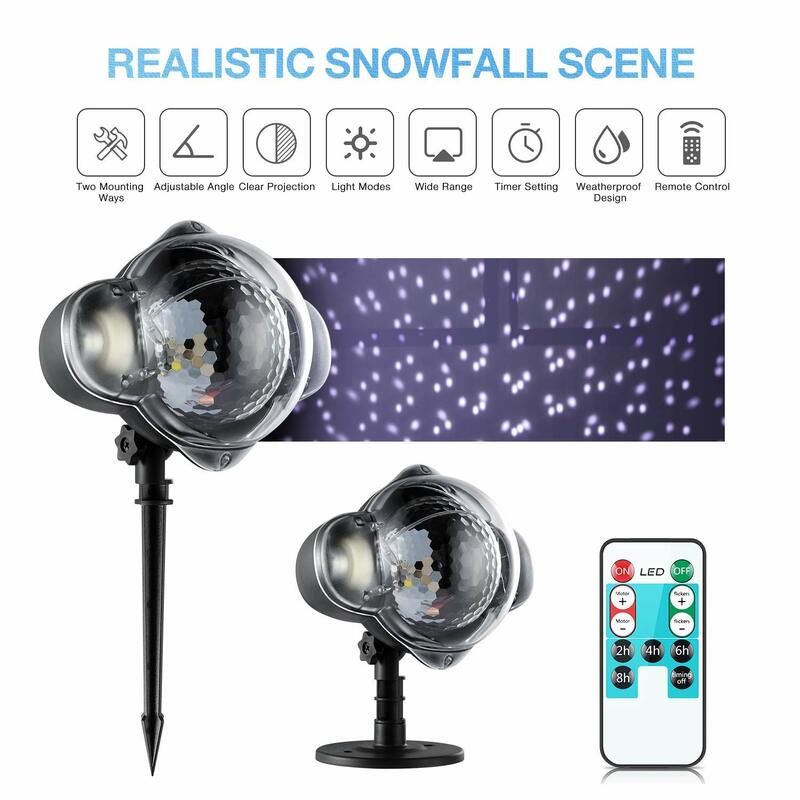 Successfully Added LED Waterproof Snowfall Effect Light Projector with Remote Control Snow Falling Light to your Shopping Cart. -- Snow-like white dots gently come down and illuminate the dark night for a vivid winter scene. -- IP65 waterproof, perfect for both indoor and outdoor use. -- Ideal to create a unique and fairy display for your garden, fence, patio, lawn, party, wedding, festival, Christmas and Halloween. -- Rremote control enables you to adjust the snow mode according to your mood and occasion.